EQUIP2:6 is a new conference for youth workers and student leaders in northeast Indiana. It will occur on Saturday, September 20 on the campus of Huntington University. The cost is $15 per person. To see mutually edifying relationships built among the ministries in the targeted area. The keynote speaker is Dr. Richard Ross, author of “Student Ministry and the Supremacy of Christ” (CrossBooks 2009). Ross is professor of Youth Ministry at Southwest Seminary (Texas), and founder and spokesperson for the international True Love Waits movement. Sponsors include Huntington University, the UB National Office, Youth for Christ, and the Fellowship of Christian Athletes. Between sessions, participants can go to the Merillat Centre for the Arts for refreshments and to see exhibitors. Since United Brethren ministry to Spanish-speakers began in 1951, Honduras National Conference has grown to include over 115 churches, an international school, a retreat center, and a theological institute. However, an unfulfilled ambition has been to send missionaries overseas. Introducing Milton and Erika Pacheco. In April, Honduras approved them for missionary service in partnership with Global Ministries. The location is yet to be confirmed, but Thailand is a serious consideration. Milton holds an undergraduate degree in business administration and a graduate degree from the conference seminary. He currently works for Habitat for Humanity, and he regularly ministers as a singer/songwriter in local churches. Erika works with Marilyn Reeck with the Summer Institute of Linguistics. 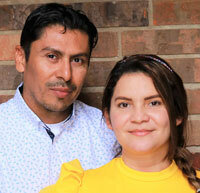 Both Milton and Erika plan to spend about a year at Huntington University studying missions. They will be the first United Brethren missionaries sent out from Honduras. About 1100 cases of Ebola have been reported in the neighboring West African countries of Sierra Leone, Guinea, and Liberia. Since this is the first Ebola outbreak in West Africa, people are unfamiliar with the disease and unequipped to deal with it. Plus, rumors and conspiracy theories make people suspicious of healthcare workers. It is very difficult to convince people of the truth about Ebola. Ebola came to Sierra Leone in May 2014, brought by a woman who was infected by persons from Guinea. Family members ignored a local quarantine. She died, and since tradition only allowed other women to touch or wash her body, the next cases were also women. A local quarantine was ignored, and the disease spread. Sierra Leone officials have since banned traditional funerals, and the bodies of Ebola victims must now be buried by health workers wearing protective clothing. Many Sierra Leoneans find this disrespectful. Tradition calls for the manual washing of dead bodies, but merely touching the body of an Ebola victim can transmit the disease. People resist having loved ones removed from a family’s care and their bodies buried in mass graves. Ebola victims are often hidden by family members, who resort to traditional treatments. The epidemic is complicated by local opposition and conspiracy theories. Doctors Without Borders abandoned a rural clinic after a mob attacked, claiming foreigners were spreading diseases. Something similar happened to the Red Cross. A mob tried to raid a morgue to recover the bodies of family members, wanting to give them a proper burial. In another area, armed men chased off government health workers. There is widespread belief that foreign health workers are spreading the disease. Health workers have found their vehicles surrounded by hostile crowds armed with stones and machetes. Log barriers block access to some villages. At least 12 villages are inaccessible for security reasons, even though persons there probably have Ebola. On July 25, thousands of people gathered outside the country’s main Ebola hospital in Kenema, threatening to remove patients and burn the hospital down. A former nurse had spread charges that the Ebola scare was invented to conceal cannibalistic rituals at the hospital. Police fired tear gas into the crowd. Near Koindu, family members removed four victims from a community health center to prevent them from being taken to a government hospital. A man in Kenema left an isolation ward and traveled to Freetown, where he was treated in a private home for a week before medical officials located him and returned him to Kenema. An estimated 60 persons—suspected and confirmed Ebola cases—have escaped from hospitals and gone into hiding. One woman fled an ambulance sent to take her to the hospital, but emerged from hiding after the symptoms became unbearable. She recovered. In Freetown, family members forcibly removed a woman from a treatment center and took her to a traditional healer. A nationwide hunt ensued. She was found, but died in an ambulance en route to a hospital. Sierra Leone Conference has devised an ambitious plan to educate people about Ebola. 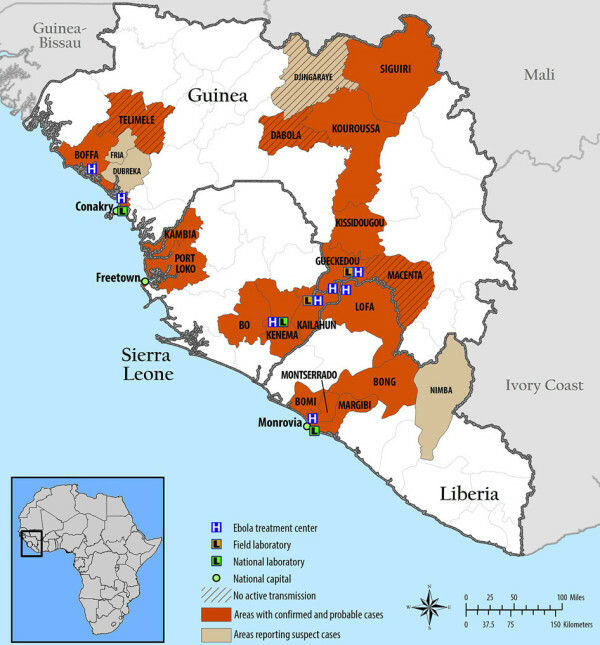 Most of the 78 UB churches in Sierra Leone are located in areas with confirmed cases of Ebola. Global Ministries is hoping to raise $15,000 to help underwrite the project. One UB church has already committed to sending $1000, plus additional funds as needed. Maria Pavon would tell you God called her to be a missionary from a young age. 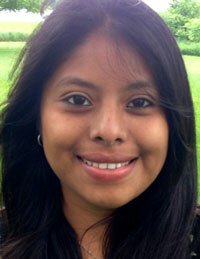 Growing up in Nicaragua, the daughter of pastor and superintendent Rev. Juan Pavon, she had plenty of opportunities to be involved in ministry, but missions seemed a distant dream. Then along came Jeff and April Dice, Global Ministries non-traditional staff who spend a few months each year in Nicaragua facilitating our partnership with the conference and coordinating the efforts of volunteer teams. They helped Maria nurture that vision and make her way to Huntington University to prepare for missions. She completed a degree in Elementary Education while taking as many mission and ministry courses as possible. Maria graduated in May 2014 and is currently involved in an internship, which will have her student teaching in Michigan among other activities. While her specific assignment has yet to be determined, it will most likely involve teaching as a means to do ministry in Asia. She will be the first United Brethren missionary sent out from Nicaragua. It’s the worst Ebola outbreak in history, and Sierra Leone is right in the middle of it. This is the first outbreak in West Africa, and the first outbreak to cross national borders. It started in Guinea in February, and spread to neighboring Liberia and Sierra Leone. Sierra Leone, which is ill-equipped to deal with the disease, now has the most confirmed cases–454 as of July 25. Of those, 224 have died. Among the deaths was a United Brethren woman from our church in Kenema, the country’s third-largest city. In addition, three workers at our Mattru Hospital have been diagnosed with Ebola. Ebola victims have been identified in over 60 locations across those three countries. Persons boarding international flights from the three capitals–Freetown, Monrovia, and Conakry–are now being checked for signs of fever. In addition, Nigeria, the largest country in Africa, experienced its first Ebola death on July 22, when an American flew into the country after having been exposed to Ebola while in Liberia. The virus commonly infects healthcare workers. Dr. Sheik Umar Khan, the main doctor leading the nation’s fight against Ebola, and who treated over 100 patients, contracted Ebola and died on July 29. Three nurses who worked with Dr. Khan had previously died. In neighboring Liberia, two American missionaries have contracted Ebola. Both have worked at the same hospital on the outskirts of Monrovia since the fall of 2013. Both are in critical condition. Dr. Kent Brantly, 33, from Texas, was medical director for the Samaritan’s Purse Ebola care center. Nancy Writebol, from North Carolina, with SIM (Serving in Mission), worked as a hygienist who decontaminated persons entering or leaving the center. Both are married with children. On July 25, Samaritan’s Purse in Liberia saw 12 new cases, of whom eight were medical personnel. Cases have been reported in the capital cities of all three countries. Crowded, urban centers can easily spread Ebola. In Sierra Leone, nearly all cases have occurred in the parts of the country where United Brethren churches exist. The Kailahun and Kenema regions, in the east, have been designed as “high risk” areas. Schools in the Kenema area are closed and travel restricted. The government hospital in Kenema is one of the best-equipped hospitals in the country. However, there is just one nurse for every 550 patients. 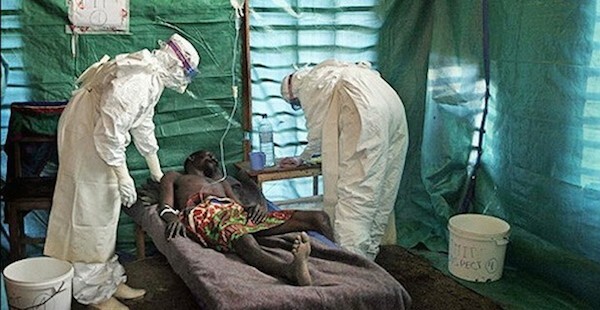 Ebola typically kills 90% of the people infected, and there is no vaccination. However, early detection and treatment have reduced the death rate to 60%. Ebola is is named after a river in the Democratic Republic of Congo (formerly Zaire), where one of the first outbreaks occurred in 1976. In that outbreak, 280 of 318 infected people died. Ebola takes 2-21 days to incubate. Once symptoms appear, many people die within 10 days. Ebola isn’t contagious until symptoms appear–fever, headache, fatigue, sore throat, muscle pain. Since those symptoms are common with various ordinary ailments, including malaria, Ebola is often not recognized right away. Symptoms progress to vomiting, diarrhea, kidney and liver problems, and ultimately, massive internal hemorrhaging and bleeding from the eyes, ears, and other orifices. Ebola is highly contagious. It can spread through contact with blood, saliva, sweat, urine, as well as through contact with objects (like needles) which have come in contact with infected bodily fluids. It lingers in infected corpses and can infect people who handle corpses. Patrick Sawyer, a Liberian who lives in Minnesota with his American wife and children, boarded a plane in Liberia, stopped in Ghana, changed planes in Togo, and arrived in Lagos, Nigeria, on July 22. He died five days later. He probably contracted Ebola from his sister in Liberia, who had recently died of Ebola. Sawyer collapsed after leaving the plane and was immediately isolated. All other passengers on that last flight are being monitored, and efforts are being made to locate others he came in contact with during his journey. Think of how many people he probably came in contact with. Think of sitting shoulder to shoulder with him in a cramped airplane seat, knowing that Ebola can be passed via sweat through clothing. In August, Sawyer was due to return to his family in Minnesota. The Nigerian government shut down the private hospital in which Sawyer died and began a decontamination process, which was expected to take a week. Hospital staff, along with 59 of Sawyer’s fellow plane passengers, are being monitored closely. Nigeria’s largest airline has suspended flights to Liberia and Sierra Leone. Global Ministries is sponsoring a project which would enable Mattru Hospital to focus resources on the Ebola epidemic. Donna Hollopeter, associate director of Global Ministries since 1993, is mourning the death of her mother, who passed away on Friday, July 25. The funeral will be held 11 am Wednesday, July 30, at Alan Funeral Home in Bloomsburg, Pa.
22 Jul UB History Course: Sept 2014 in Chambersburg, Pa.
During the past two years, 110 people have attended the course in 12 different locations. The next edition will be held September 22-23, 2014, in Chambersburg, Pa. Location: Mount Pleasant UB Church. Daryl Elliott (right), senior pastor of Fountain UB church (Keyser, W. Va.). $200, if you are seeking a ministerial license. $20 for “Trials and Triumphs,” a history of the United Brethren church. ($14.95 for the book, $5.05 shipping for US, $12.95 international). The book will be sent from the national office. Direct any questions to Cathy Reich, Administrative Assistant. 21 Days For Global Harvest is an annual worldwide prayer campaign for fulfilling the Great Commission in this generation. This year it is September 30 – October 20. Global Ministries and its worldwide staff have committed to participating in these 21 days of heart-level prayer. We invite you—individuals, small groups, churches, and campus fellowships—to join us in seeking God to move significantly among the world’s remaining unreached and unengaged people groups. The challenge is to gather daily in small groups for 30-60 minutes to “stand in the gap” (Ezekiel 22:30) for personal revival and a broader spiritual awakening. $15,000 to Mexico—for leadership development in our 45 churches. Rev. Denis Casco, bishop of Mexico Conference, had just canceled plans for a training event. But upon learning the funds were on the way, Casco quickly reinitiated plans for this and other training activities for the coming year. $10,000 to Nicaragua—to complete their conference center with classrooms, dining facilities, and lodging for 48 persons. $15,000 to Sierra Leone—to complete the renovation of Harmonie House. This dormitory-style house will provide lodging for visiting physicians, work teams, and volunteers. Recently, the national conference signed a three-year agreement with World Vision that will bring teams of visiting physicians four times per year to Mattru Hospital. The only commitment on the hospital’s part is to provide appropriate housing. Your gifts made it possible for us to complete the renovations ahead of schedule in anticipation of the first team of physicians arriving in August 2014. Global Ministries now has its own Facebook page at Facebook.com/ubglobalministries. It already has 175 “likes.” David Kline, who joined the Global Ministries staff in May as associate director, is spearheading the new Global Ministries page. The hope is to reach a broader demographic and feature news and information that will stimulate thought, discussion, prayer, and participation in the Great Commission. Go “Like” the page now.